Can Journalism Survive Without Journalists? When all the journalists are gone who will tell us what we need to know? Last summer I sat in a ballroom in Chicago along with a roomful of other Black journalists celebrating the induction of Les Payne to the National Association of Black Journalists (NABJ) Hall of Fame. 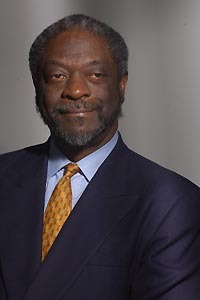 Last week, Les Payne was let go with little notice and less ceremony by New York Newsday. Scan the NABJ website and you will not find a word that one of it’s founding fathers and past presidents has joined the ranks of other journalists being shown the door by newsrooms across America. The only thing that troubles me more than a icon of journalism like Payne discarded like a old newspaper is the roaring silence from the organization he once led and helped create. I can’t decide whether NABJ has no idea how to address the dire situation of Black journalists losing jobs left and right or its only purpose is to collect membership dues and provide nothing in return. My personal take is NABJ has always been much better at begging for more newspaper diversity and totally inept at coming up finding a big stick when the carrots fail. But what do I know? Some people think I’m a bit of a militant. Payne was named in 2008 to NABJ’s Hall of Fame. It’s a shock, a shame and a sin that the organization he founded seems more inclined to honor his past achievements rather than assist him in a uncertain future. When a journalist loses his job it’s not more important than anyone else. But when an autoworker or waitress loses their job, cars will still be made and food will be served. When journalists, and particularly journalists of the caliber of a Payne or Nat Hentoff lose their jobs, we lose people who will tell us the truth. Hentoff joins the ranks of the unemployed journalists. When we run out of people telling the truth who is left to tell it? Young journalists like NPR’s Farai Chideya loses her show, News and Notes and her job. Old lions like Payne and Hentoff are dumped because they’re too old, too expensive or too much part of the past and there’s no place for them in the future, whatever future there is for print journalism. Every so often I think journalism is going to go the way of VHS tape and vinyl records and I find myself struggling for a rationalization for future journalists to stick with in instead of getting an honest job in a profession that actually may be here in another ten years. ← Obama Bum Rushes the Country Club.